Spiritually High, that is! What were you thinking? Okay, so this category is one that fits in with the traditional tourist guides, but there is no way I could even begin to summarize this city without highlighting its importance as a religious and holy site. I could write a whole post on this alone, but in deference to the nature of this post, I will just summarize! The Temple Mount became the holiest site to Jews about 4000 years ago, with the act of the Binding of Isaac, the ultimate test of Abraham’s faith. About 1000 years after that, King Solomon built the first Holy Temple there, which was followed by a Second Temple about 500 years later, when the first was destroyed by the Babylonians. That second one was destroyed by the Romans in the year 70, and since then, the western retaining wall of the Temple Mount has been a pilgrimage site for Jews for nearly 2000 years. A little before the Second Temple was destroyed, Jerusalem also became a holy city to Christians. A number of significant events in Jesus’ life took place in Jerusalem, including his presentation at the Temple when he was 30 days old and one of the Temptations. But of course the event that really defined the city as holy to Christian tradition was his crucifixion, subsequent resurrection and ascent to Heaven after that. Most Christians associate the crucifixion and resurrection with the Church of the Holy Sepulchre, though there is also a beautiful Protestant site known as the Garden Tomb, north of today’s Old City. 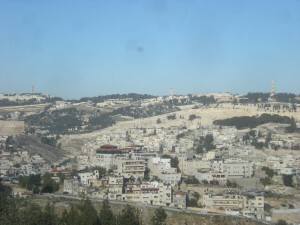 The Ascension is marked by a number of different churches on the Mount of Olives, to the east of the Old City. 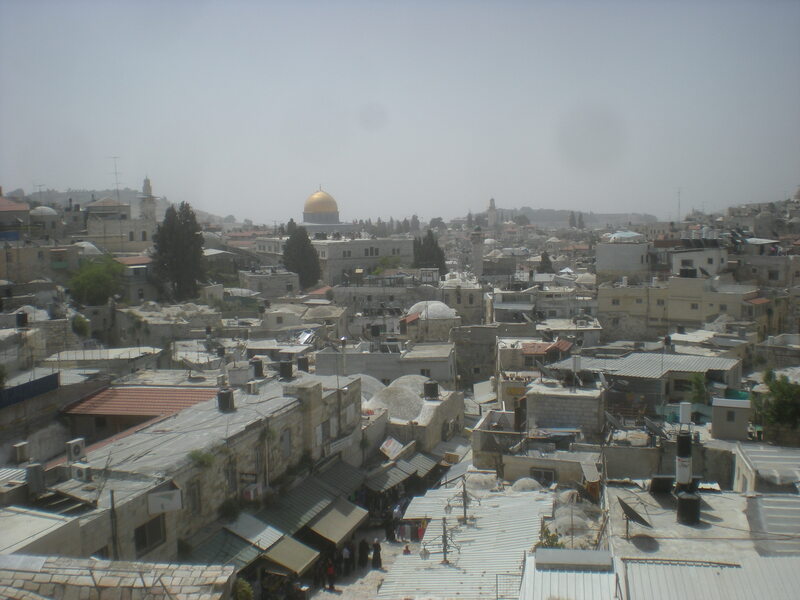 About 600 years after both the crucifixion of Jesus and the destruction of the Second Temple of the Jews, Jerusalem became a holy city for Islam as well. The Koran tells of Muhammed’s miraculous Night Journey from Mecca to “the farthest mosque,” from which he ascends to heaven, meets with Abraham, Moses and Jesus, and then learns from God about Muslim prayer. The location of the Farthest Mosque is not identified explicitly in the Koran, but this was spelled out clearly by early commentaries on the Koran and was likely the intended meaning all along. Thus, all three of the major monotheistic religions of the world have made Jerusalem into a holy city. Over the succeeding millennia, the streets of the city have been filled by hundreds and hundreds of synagogues, churches and mosques, along with so many other holy places. Other religions also have established schools and houses of worship here. So Jerusalem is unparalleled as a place where you can explore or expand your spiritual side, in any way that speaks to you best. Israel’s culinary culture is top notch. When a country draws people from literally all around the world, and everyone brings their own tastes and dishes with them, you get a melting pot in the almost literal sense. So while the base of Israel’s menu is traditionally Mediterranean, with staples like falafel, shwarma, chummus and shakshuka, the local cuisine is flavored by food from many other countries. It is easy to eat Moroccan food one day, Indian the next, then a good burger and then some sushi. Compared to Tel Aviv, where chef restaurants and fancy foodie culture reign supreme, Jerusalem’s culinary offerings are much more down to earth. This by no means makes them less delicious, just simply less conscious of the fashions and attitudes of the culinary world. And while Jerusalem still has its share of high-end chef restaurants that are well worth visits, to get a real feel for the city you should eat like a local. 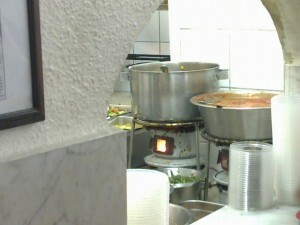 Probably the most Jerusalemite of restaurants are the workers restaurants that are located in the area of Machane Yehuda (the Jewish market) and the center of town. Places like Taami, Rachamu, Pinati (the original, before they became a chain across the country) or HaFinjan offer a wide array of delicious foods, prepared each morning and kept warm on kerosene burners. The foods typically lean towards the generically sephardi end of the food spectrum. While many would swear by one of these restaurants over another, the truth is that they are all delicious. And the experience of ordering food, having it on your plate in 30 seconds, and then being rushed out as soon as you finish eating to make way for more diners is part of the special charm of these places! 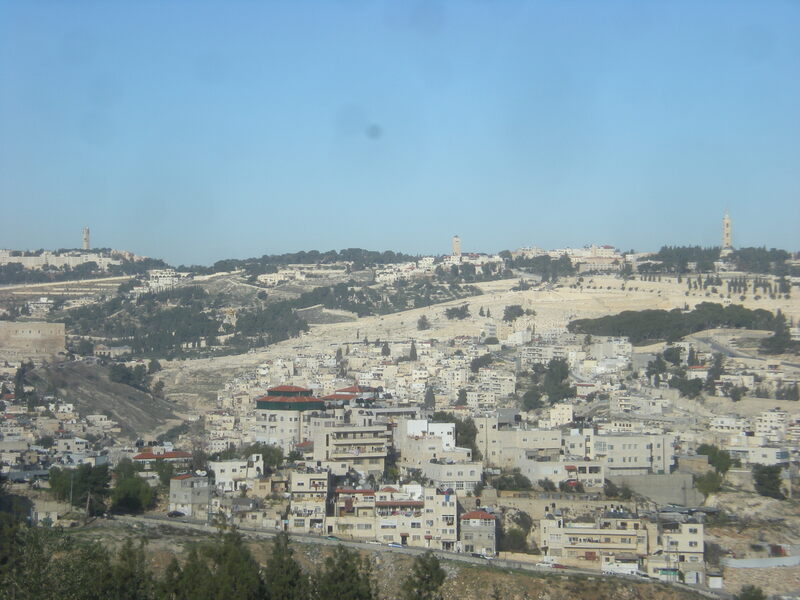 King David once wrote, “Jerusalem: Mountains surround her!” When you have a city with great vistas, you can look out into the world and think about all the things out there in the vast world that you want to see and do. But when you are surrounded by higher mountains, and can’t look outward, you need to look inward. This is one of the benefits of Biblical Jerusalem. Each of these has different benefits. The first three all offer excellent views of the Old City itself, and the various Holy sites there. They offer views from, respectively, the south, north and east sides. Depending on the time of day (no one likes having the sun shining in their eyes) and what else you plan to do on a particular day, they each offer varying benefits. Scopus offers a great view of most of the city from its northeast corner, and has the added benefit of another viewpoint nearby looking eastward into the Judean Desert, down towards Jericho and the Dead Sea. But perhaps the best view of the city overall is the last one I mentioned: Kibbutz Ramat Rachel. From there you are at one of the highest points in the city, and are situated almost at the farthest point to the southeast. You can literally see almost the entire city. I should also mention that Jerusalem’s great views do not have to only come from natural high points. The historic and beautiful YMCA building on King David Street features a 175 foot tall tower, stretching 10 stories into the air. It offers a magnificent 360-degree view of the city. Another excellent viewpoint is the top of the “Phasael tower” at Migdal David / The Tower of David. But no matter which one you choose, there is probably no better way to understand the city then by viewing it from above. There are 2 places that I like within the Old City with a great view: the bell tower at Church of the Redeemer, you climb round and round up 177 stairs (if I counted correctly) and the roof of the Austrian Hospice. 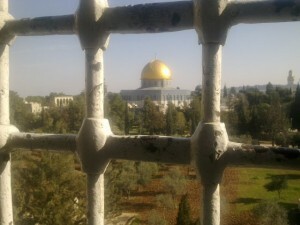 will be in Isreal in november and will have a free day to spend in jureslam….any advice? I do not enjoy toursity stuff but rather local flavor stuff. Any festivals or events happening second week of november i should know about. Are you looking for something to do with a guide or on your own? Still too early to know of any festivals or events then, but a visit to Mahane Yehuda, the Jewish outdoor market in Jerusalem is a must.